The Monet painting that gave the impressionist movement its name is coming to the Southern Hemisphere for the first time in June 2019. 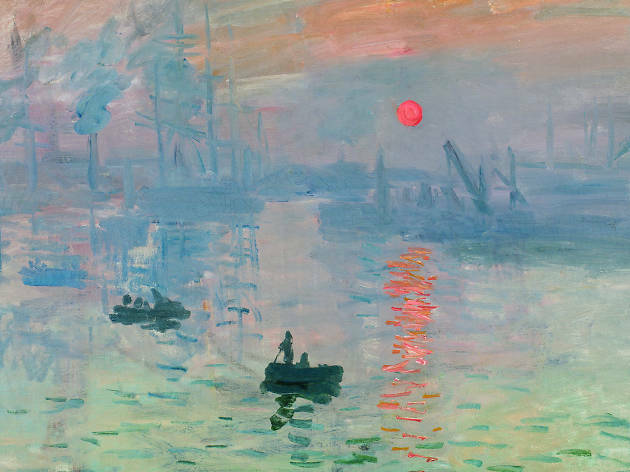 Impression, soleil levant (Impression, Sunrise) is leaving the walls of the Musée Marmottan Monet in Paris for a turn in a new gallery space at the National Gallery of Australia in Canberra, alongside almost 60 other impressionist masterpieces. The majority of these will be from the man himself, but there will also be works from JMW Turner, the English romantic painter whose style influenced Monet, as well as other artists who were influenced in turn by the French artist. The paintings in this exhibition have been gathered from the Marmottan, as well as the Tate in London and other galleries in Australia and New Zealand. The exhibition is curated by the Marmottan’s Marianne Mathieu, who was in charge of the research into the background of this famous painting, which depicts the port of Le Havre on the north coast of France. The story goes that when Monet was asked for the title of his depiction of the busy port, he named it an impression because it couldn’t be considered the kind of view that was in keeping with the realism art movement of the time. The NGA revealed its full 2019 program today, which also includes an exhibition which will put two artistic rivals – Matisse and Picasso – in the same room, and will track their relationship through their art. Sourced from private and public collections, it will be a unique group of works, many of which are in direct response to the other, resulting in an interesting look at the two master’s unlikely friendship. And if you can’t wait until 2019 to check out what the gallery has on offer, Instagram favourite Yayoi Kusama’s Infinity Room will be installed in the gallery from December 2018. The Spirits of the Pumpkins Descended into the Heavens brings those iconic black-spotted yellow pumpkins to Australia permanently, so start practicing your selfies now. Can't make it to Canberra? Check out our hit-list of the best art exhibitions this month and the best public art in Sydney. Larissa is an editorial intern at Time Out Sydney. She’s also a podcast and brunch enthusiast who is also a big fan of getting eight hours sleep. She’s recently rediscovered the joy of exploring the world around her and isn’t going to stop anytime soon.